Steve Mann won the 2010 Steel Safari. Great job Steve! 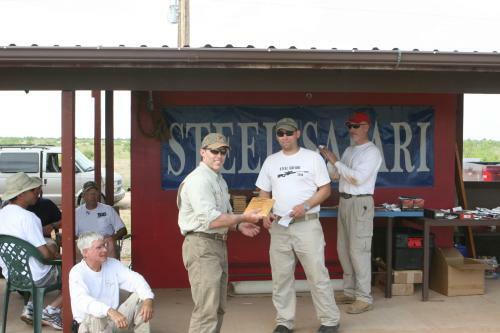 The 2010 Blue Steel practical rifle match was as challenging and exciting as expected. After first competing in the 2009 match and being completely humbled, my nerves where on end when I arrived at the Wheelers Blue Steel Ranch in Logan, NM. The location and setting for this match are unequaled. Every stage brings a different view and perspective. At times I found it difficult to focus when you have a million dollar view at the top of each hill and around every bend. I doubt I took enough time to thank the Wheeler family enough for hosting this event each year. Zak Smith, Mike Kolar, and Michael Fields continue to organize and manage the Blue Steel match with imagination and efficiency. Many of the stages had been reformatted to challenge even the most experienced Blue Steel competitor. Resetting the match each year requires imagination and hard work! The 2010 prize table was also very impressive with highly respected Sponsors who where very generous. 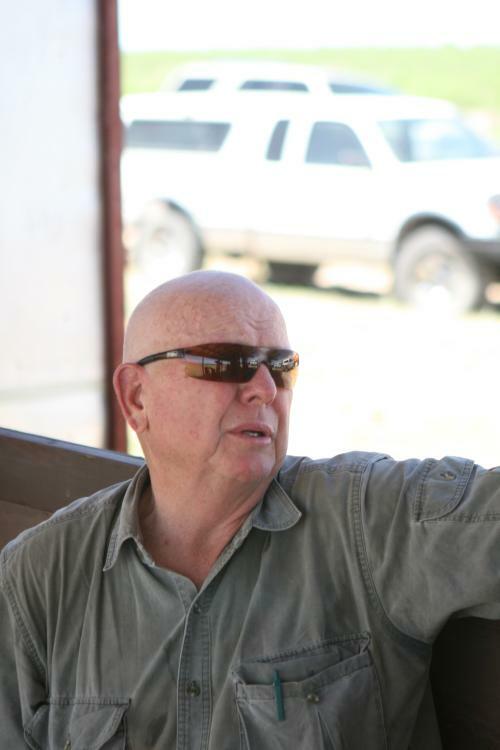 John Sternberg, a respected practical rifle competitor from the Denver area coordinated the 2010 prize table with the sponsors. If you are in the need for a quality shooting product, please contact these great companies: Barrett Firearms, Thunderbeast Arms, US Optics, Nightforce Optics, John Dustin, Sierra, Lapua, Magpul, Burris Optics, Surefire, and CS Tactical. It was a lot of fun this year shooting with talented and experienced competitors Stan Sanchez from the Denver area, and Jon Beanland from Oklahoma. I learned many valuable shooting lessons from both. Jon also threw in a big lesson on personal character. I would like to thank Dave and Lorraine Wheeler, Blue Steel management, Valued Sponsors, Volunteers, and John Sternberg for their efforts. Hopefully, I will be fortunate enough to participate in 2011! The 2010 Steel Safari was a great match. You said at the shooters meeting that the course would be challenging and you were right on the money. All of you who worked on the set up did a great job. Blue Steel Ranch is a wonderful place to shoot to begin with and you, Mike, and Michael really used all of the terrain to make a very fun and challenging match. Every one of the 120 shots for record were tough. Lots of really cool shooting positions and some that I cussed a lot. The level of competition has increased from last year with a bunch of really top level shooters there. Congratulations to Steve Mann, he did a great job. Many thanks to Dave and Lorraine Wheeler for hosting Steel Safari again this year. The Ladies sure kept things moving along and were fun to be around, they were great. John did a great job with the prize table and there sure were some generous sponsors. All in all it was a really good time. Tom rests in the relative cool of the shade at the front range after shooting one course on Saturday.